Belgian builder of musical instruments. through the invention of the saxophone. Adolphe Sax was born in Dinant* (Belgium) on November 6, 1814 and was the eldest son of Charles-Joseph Sax (1791-1865), builder of instruments and owner of a factory for wind instruments in Brussels. Father Sax was also royal purveyor for the House of Orange during the time of the United Kingdom of the Netherlands. 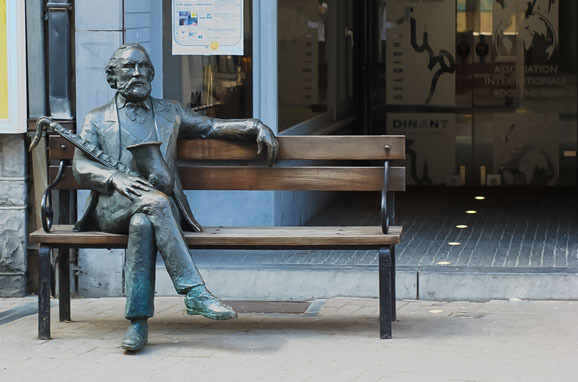 *The exact place where Adolphe Sax was born is now the experience center “La Maison de Monsieur SAX”, which one can visit. 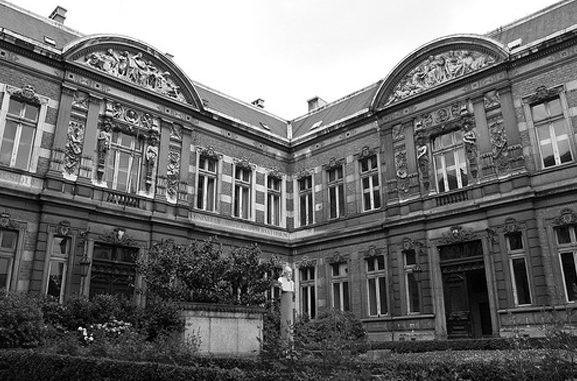 Adolphe Sax started his musical education in 1828 at the Royal School of Music in Brussels. Aside from this general education, he also took clarinet lessons. Playing the clarinet, he took part in a contest at age 15. He did his first experiments with the base clarinet: he developed a new 24-valve system, which he demonstrated at the 1835 Industrial Exposition in Brussels and which he patented later. Additionally, Adolphe Sax started work planning a series of new instruments. At the exposition of 1840, he presented 9 inventions, including an organ, a piano-tuning process, and a sound reflection screen. At the 1841 Industrial Exposition in Brussels, Adolphe Sax demonstrated one of his own inventions for the first time: the saxophone! 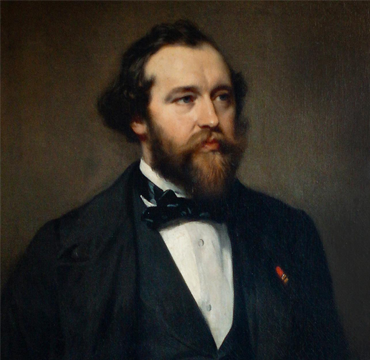 Lieutenant-general count De Rumigny wanted Adolphe Sax to provide the French army with better instruments. Adolphe Sax made the quick decision to move to Paris, which was at that time the musical capital of Europe. 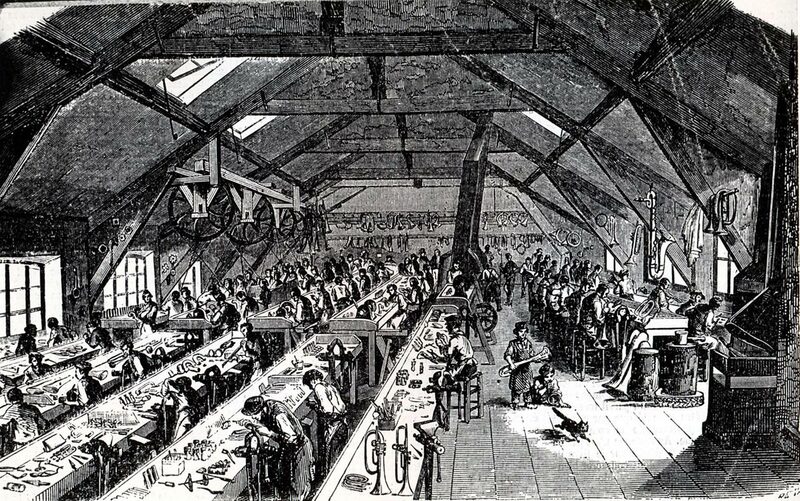 When Adolphe Sax arrived in Paris, he was forced to live in a barn and to borrow money to start his own company. His luck transformed when Fromental Halévy introduced him to Hector Berlioz, who was, apart from the most controversial composer in France, also an influential musical critic. Hector Berlioz wrote a rave review on the baritone saxophone in an important magazine. Afterward, as well, he continued praising the instruments. Adolphe Sax started the production of his instrument in 7 formats, from sopranino to double-base. Then, it did not take long for composers to start writing parts for these instruments in opera orchestras. Adolphe Sax patented his invention, the saxophone, in 1846. He won a gold medal at the Paris Industrial Exposition in 1849. His atelier sold approximately 20,000 instruments between 1843 and 1860. Adolphe Sax’s lack of talent as a financial manager is illustrated by his many bankruptcies, in 1852, 1873 and 1877. It was emperor Napoleon III, an admirer of the sax, who prevented a fourth bankruptcy. Adolphe Sax kept improving his instruments and taught from 1858 to 1870 at the conservatoire of Paris. Just before Adolphe Sax died on 7 February 1894, aged 79, he feared his life’s work had been for nought: the saxophone was important in band music, but not sufficiently in classical music. He could not have foreseen that his creation would cross the ocean to the United States due to the Spanish-American war around 1900, and would develop into an icon of American music. We produce saxophones as Adolphe Sax intended them to be: a good sound, with a high ease of play and excellent quality. We will once again put Belgium, the birthplace of Sax and his saxophone, on the map as “saxophoneland”. 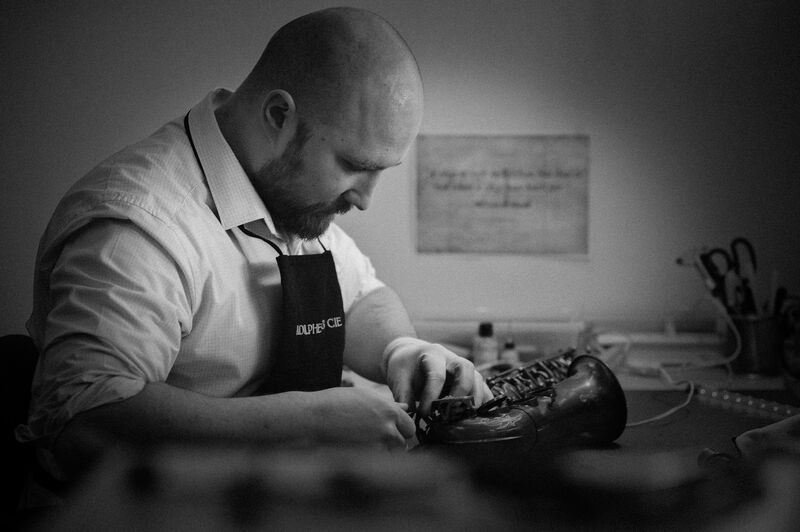 We will achieve this by combining traditional craftsmanship and innovative techniques. 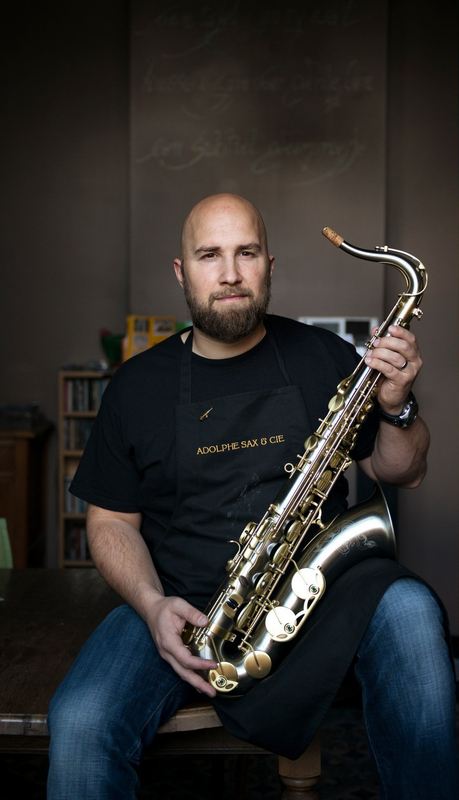 Karel Goetghebeur, born in Ostend in 1978, is the founder and creator behind Adolphe Sax & Cie. As a secondary occupation, he established his saxophone business after he received the exclusive distribution rights of a particular saxophone brand for all of Europe. 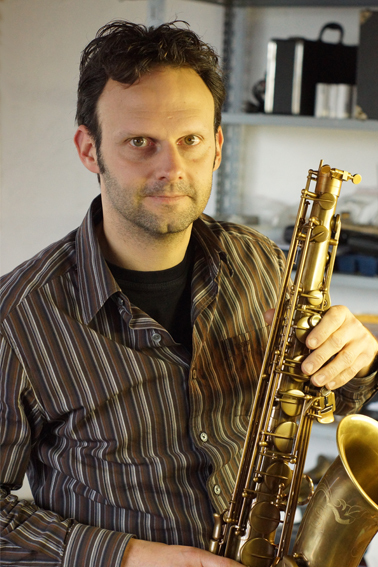 In 2010, he took a leap of faith and decided to work with saxophones full-time. When at the beginning of 2012, he discovered the possibility to obtain the rights to the name “Adolphe Sax & Cie”, nothing could stop him. Long story short: Along with his American colleague and friend Juan, he visited various factories. They found a factory which liked the concept of an “old idea with modern application”. From that moment onward, the first prototypes were developed, assessed, tested and adjusted. On 27 September 2012, it was announced to the press in Bruges: “Adolphe Sax & Cie” was a fact! The “Adolphe Sax & Cie” story is no one-man show. It is teamwork. It’s a great pleasure to collaborate with and to receive advice from our technical team: all important saxophonists, technicians and researchers. 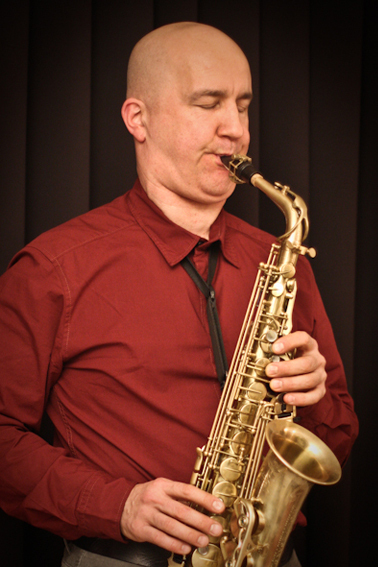 Hervé Letor is a very versatile and flexible saxophonist who feels at home in many musical styles, including jazz, blues, fusion and pop. He can be found in recording studios and on stage in the Belgian jazz and pop scene. He has played with countless artists, bands and tv shows. He teaches at the “Do Something School” in Brussels. One of the greatest experts and collectors on Adolphe Sax, we have great respect for his knowledge and passion. His book “100+1 saxen” introduces readers to a number of very rare Adolphe Sax saxophones from his own collection. 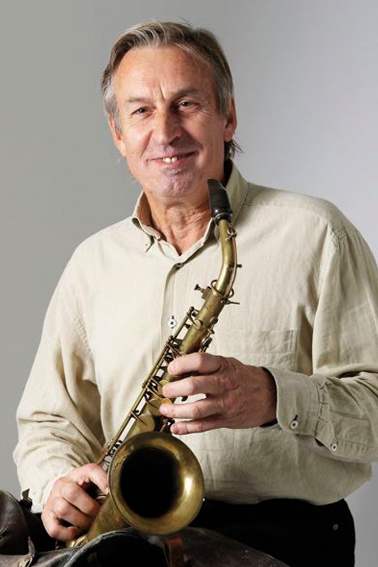 He was a professor in saxophone at the Royal Conservatoire of Den Haag. The man who once started out as a goldsmith is, apart from autodidact / inventor / collector / photographer /etc… one of the most famous Dutch saxophone repairers. Many hands learned, thanks to him, the skills and tricks of the profession. His insight and expertise are a very valuable addition. Even at age 15, Nicolas started to learn the craft. 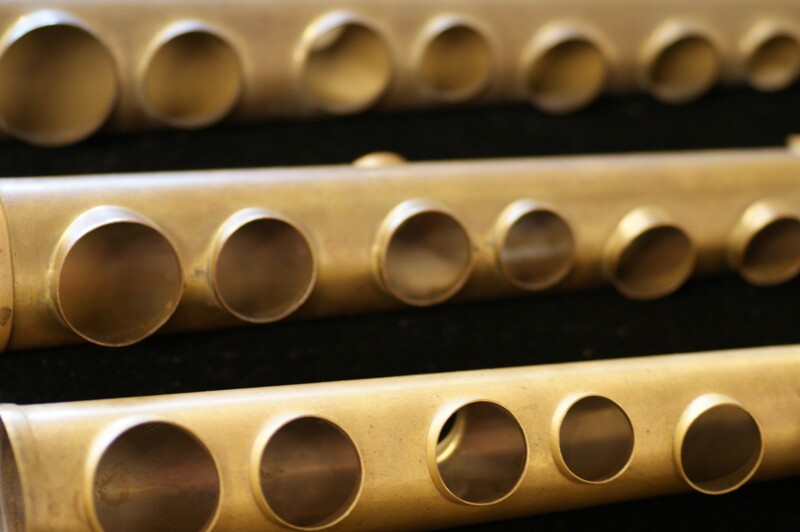 He got his diploma in “Production and reparation of wood and brass wind instruments” at the firm Persy in Brussels. He worked, among others, at De Prins in Antwerp and kept specialising in fine mechanics, for example at Straubinger, the famous flute builder in Indianapolis. 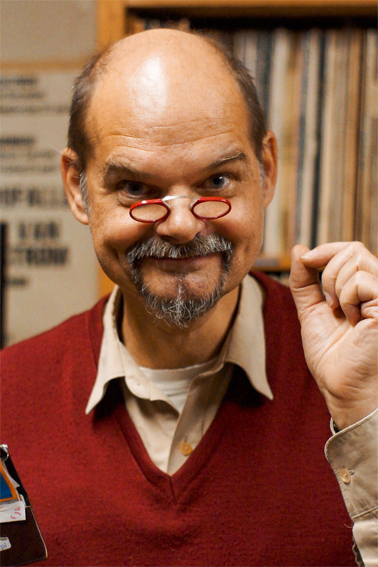 Stefaan studied in the Netherlands with Ferdinand Povel and Leo van Oostrom. 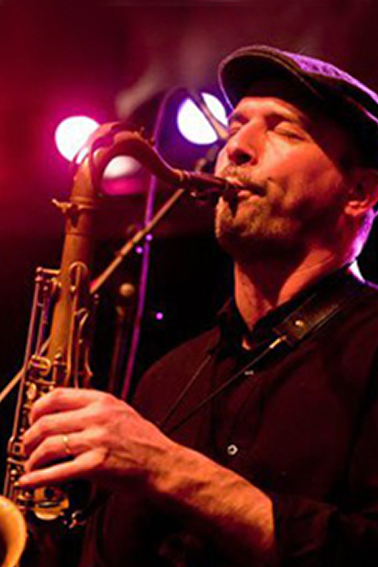 Throughout the years he has performed with a number of famous jazz musicians in Belgium and the Netherlands. He specialises particularly in the development of jazz education in Flanders, and currently teaches at the City Academy for Music, Word and Dance in Roeselare.